An important collection of Museums, garden squares, important medical institutions and distinguished educational units – Camden Town (WC1 area), in Central London, is the place where you can find at least one of them on every major street. WC1 is the place where you can actually find a museum for all the preferences, for example, the most famous museum in London, The British Museum, and one of the most hidden “treasures” in London, The Foundling Museum. If you lodged nearby Stansted Airport, you can take a London Stansted Taxi to Camden Town in order to visit these beautiful venues. The first is so well known, that it doesn’t actually need a presentation. On the other hand, it is said that if you wanted to thoroughly explore it, it would take months, if not years. The British Museum displays objects and treasures from prehistoric to modern time, including: the Parthenon Sculptures, Egyptian mummies and also Chinese Art. 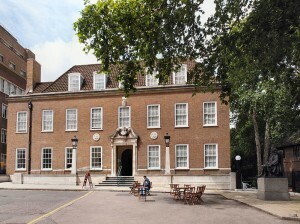 The Foundling Museum hasn’t such a big scale, but its history is also very interesting and touching. Originally, the building was a hospital for abandoned children. The interior of the house is kept just as it looked like in the 18th century. It’s considered that this is the only way that the museum can tell the house’s original story. Other museums that can be also found in WC1 are: Sir John Soane’s Museum, Charles Dickens Museum, The Cartoon Museum and Pollock’s Toy Museum. The most important squares in WC1 are: Tavistock Square, Russell Square and Coram’s Fields. The Russell Square has the style of the early 19th century. Originally, it was the centrepiece of the 5th Duke of Bedford’s 1800 development plan and it contained large houses for the upper-middle-class families. The Tavistock Square is well known for the statue in the centre of the garden, Mahatma Gandhi’s statue. There, you can also find a cherry tree, planted in the memory of the victims of the nuclear bombing of Hiroshima. The Coram’s Fields is a particular place in Camden Town and in London as well. It is an urban square where the adults (you are considered an adult here if you are over 16) are only permitted if accompanied by children. The district is also well known for the large number of hospitals as the National Hospital for Neurology and Neurosurgery, the Great Ormond Street Hospital and the University College Hospital. Also, the area is filled with students because in WC1 there are also located: The Bloomsbury Colleges, the main library of the University of London, the University College London and the Royal Academy of Dramatic Art. In order to get rail transport from London Stansted Airport to Camden Town (WC1), you have to take the Train to Tottenham Hale Underground Station and then use the Tube to Euston Station (Stop D). All the sights presented are near Euston area. Also, you could take a taxi transfer from Stansted Airport, Tottenham Hale Station or Euston Station to Camden Town. So as to travel by car from London Stansted Airport to Camden Town, you must take the A11 and the A406. London Stansted Airport is about 40 miles away from Camden Town. A journey by taxi from Stansted Airport to Camden Town WC1, with 247 Stansted Airport Transfer is going to last almost 1 hour and 20 minutes. The price for a Stansted Taxi starts from 57 Pounds for a saloon car.